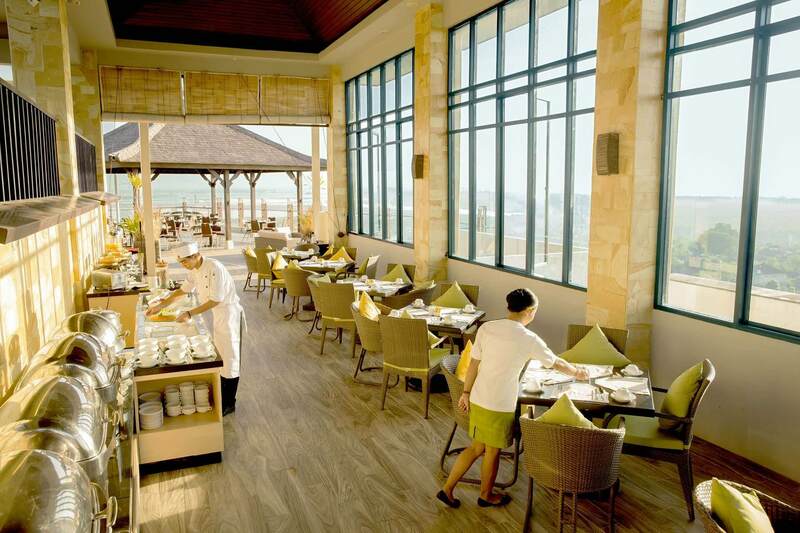 Park Hotel Nusa Dua, Bali presents a choice casual venues with simple, high quality Asian cuisine. Moonsun Restaurant & Bar is a contemporary rooftop setting with a magical view that captures the tropical essence of south Bali. It is the perfect spot to watch the island’s celebrated sunrise and sunset over a superb selection of food and drinks. Overlooking the crystal clear waters of the swimming pool, the Lobby Bar is the place to meet for lights bites and refreshments to the soothing sounds of chill out tunes playing in the background. Elevated high for a sensational view over south Bali, Moonsun Restaurant & Bar puts Park Hotel Nusa Dua on the island’s culinary map. Appetites are satisfied with a flavoursome menu of urban Asian cuisine driven by the availability of quality ingredients. This versatile venue features a covered area and an outdoor terrace for uplifting wining and dining experiences. Lobby Bar’s serves as the best chill-out spot for a night cap, or as an enticing introduction to the Hotel. Order an aperitif from our carefully designed menu, offering today’s most popular classic cocktails & mocktails, a vast selection of wines by the glass from our dedicated cellar in addition to a selection of both local and imported beers. The Lobby bar also serves an eclectic menu of light bites, pastas and pastries complemented by an impressive selection of gourmet coffees and excellent whiskeys. The lobby Bar opens daily from 11.00am to 12.00am, with seats capacity for 35 persons.